Should an island nation like New Zealand close its borders in the face of a severe pandemic threat? In a SciBlogs post last year we argued ‘yes’. We have just published additional modelling that also comes to this conclusion. In a severe pandemic tens to hundreds of thousands of New Zealand lives could be lost, based on the plausible scenarios that we used. A timely and effective border closure could prevent this loss of life and health costs from illness. Such benefits would far outweigh the disruptions to the economy, including from a temporary end to tourism from international travellers. Now, in an improved and updated analysis, we find an even stronger case for border closure to mitigate the threat of a pandemic or novel catastrophic bioweapon. Our new study employed a more sophisticated analysis based on detailed pandemic impact and cost data from previous New Zealand outbreaks, and included factors we did not originally model such as impacts on productivity, superannuation, and using up-to-date New Zealand Treasury values for a range of inputs. We compared ‘do nothing’ in the event of a pandemic, with an intervention to close the borders for up to 180 days. Our modelling estimated the societal and health system impact over 5, 10 and 50 years. The scenarios included pandemics ranging from severe (causing nearly 13,000 deaths in New Zealand) to catastrophic with 10 times as many deaths. We modelled a range of positive impacts from a timely and effective border closure including health system costs avoided, years of quality life gained, and deaths avoided. These gains are associated with avoided productivity and tax revenue losses. Negative impacts modelled were lost tourist revenue, the costs of dealing with visitors stranded in New Zealand, and future health system and superannuation costs. The results of our modelling show that the net present value to society of successful border closure is $7.9 billion for the severe scenario, and $144 billion for the catastrophic scenario. We did not model the impact on trade (for a variety of reasons this is difficult to do in the situation of a global severe pandemic), however, importantly, the values we derived represent 14% and 262%, respectively, of the total value of imports and exports in an ordinary 180-day period. This finding suggests that in some cases it is still economically prudent to close the borders even if all trade were to cease (which is unrealistic given that a lot of trade can continue without ship or plane crews disembarking). If we look just at the health system, then even when including lost tourist revenue as a ‘health’ cost in this situation, the effective cost per year of quality life gained from the intervention is comparable (or less) than many other health interventions the New Zealand Government currently funds. Border closure is usually not considered as an option by most countries due to logistical difficulties and the high risk of failure, but the situation is different for remote island nations where border closure may be viable. But even here, the consequences of infection need to be very substantial before they would justify such an extreme measure, whose success remains uncertain. These severe pandemic threats highlight the need for effective planning ahead of time to enable border closure to be an effective policy option. The government would need to develop an appropriate ‘generic pandemic plan’ that encompassed legal and implementation issues. Closure would also have to occur before the pandemic agent had already entered the country, so a rapid decision-making process would need to be in place. 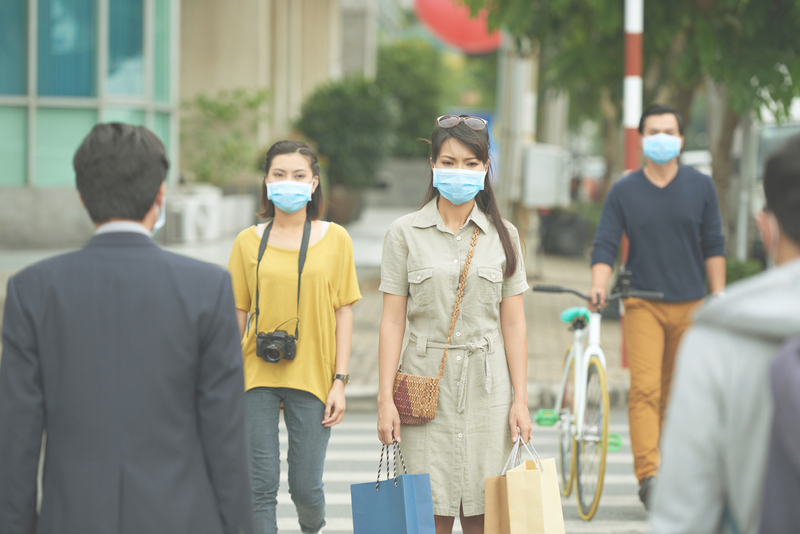 With increasing risks of new pandemics due to the growing density of human populations and various socio-economic, environmental and ecological factors, there is a need to look at different scenarios for better pandemic planning. The risk to human civilization from new infectious agents has probably never been higher, especially when we consider the risk of synthetic bioweapons. Our work has again suggested that there are conditions under which it may be worthwhile at the societal level to close the borders of an island nation in the face of a new and very severe global pandemic. The estimated NZ$144 billion benefit from a societal perspective in our catastrophic scenario should oblige policy makers to analyse this intervention in more detail and ensure seamless implementation, should the triggering circumstances arise. The threshold for action should be reasonably low, especially given that border closure can always be reversed in days or weeks. How long would it take to recognise the danger and actually enact closing the borders though? If this theoretical pandemic arrived and got established before the borders were closed I’d have thought the benefits would be minor. If this is covered in your modelling I’d like to know more. Never mind, I found the relevant bit in the linked article.